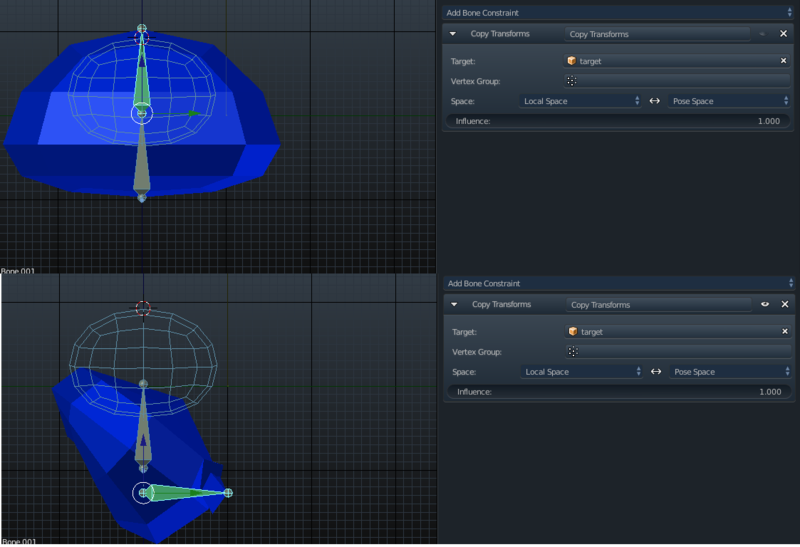 I want to use the bone constraint "copy transform" to a bone,but when a set a target the bone change position,rotation is all mess up without i move the target. I apply the location and rotation of the target,clear pose but still...what i can reset to change this? Browse other questions tagged armature bones constraints or ask your own question. How to keep initial orientation when adding copy transforms constraint? How can I stretch a bone's tail to another bone or empty with a constraint?